I find it so frustrating that one of my favorite circuits happens to be the furthest away from when where I live! 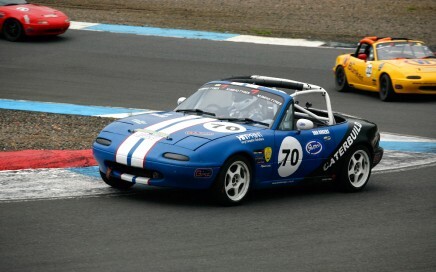 Knockhill is a true gem; it suits the MX5 perfectly and although its a circuit built for car racing, it has the feel of a kart track. Short straights and huge elevation changes through twisty corners make it feel like a rollercoaster ride. The only break is the run up to the start line but even then it is so easy to muck up the gear change from 2nd to 3rd. Combine an awesome track with the most enthusiastic race organisers I have ever come across and you have a real recipe for success. Wish I could go back more regularly.